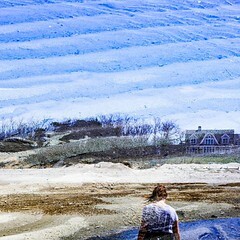 A new book by Ephemeral New York! 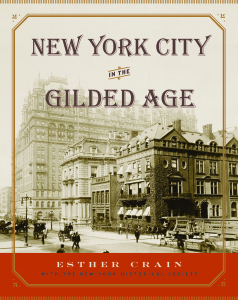 Check out this excellent book on the Gilded Age of NYC from Ephemeral New York. As longtime readers know, Ephemeral New York has been chronicling the city’s past since 2008. I’ve enjoying researching and writing every post, and I’m so grateful for all the insightful comments and kind words from readers along the way. On June 3, I’ll have something new to offer: a book. 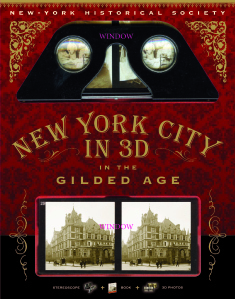 Titled New York City in the Gilded Age, it delves into one of the most dynamic periods in New York City history. This is the era of gaslights, horse cars, and elevated railroads; of posh Fifth Avenue mansions and crowded tenements; of an explosion in population and industry as well as deep political corruption. It parallels our contemporary city, with its incredible growth amid a widening gap between the rich and poor. Thanks QH! Keep up the terrific work chronicling the North River.